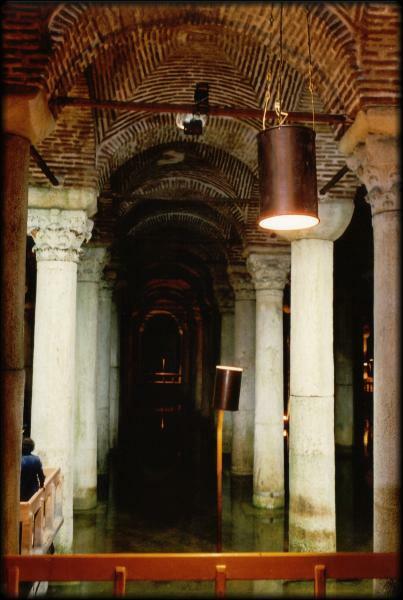 This underground area is located between the Aya Sofia and the Blue Mosque. It is a huge cave with 336 columns, with walkways leading you around the cave, over the water. Water drips down the roof above, and piped in classical music accompany the funky light show playing off the pillars and water. The cistern was created for the Topkapi Palace – it’s served many purposes, from moving goods to watering the lawn. Watch your step as you walk here, the ground is often wet from the dripping water. 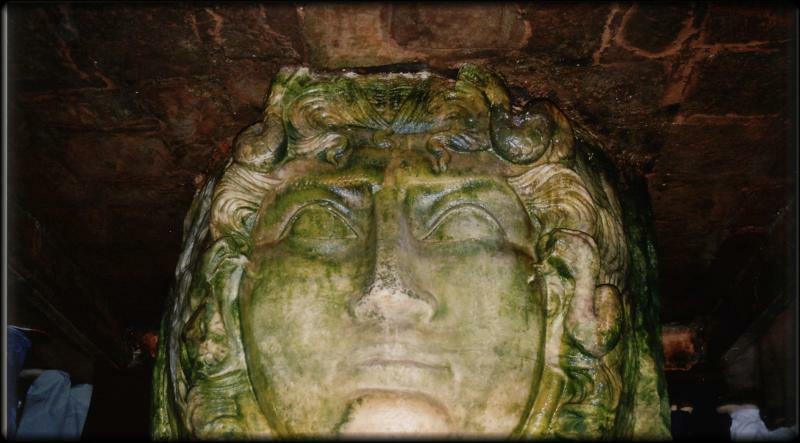 Be sure to check out the sideways and upside down Medusa Head at the end of the cavern, whose origin is still debated today. There is a cafe overlooking the water, where there is sometimes concerts. You exit the cavern through a set of a stairs leading to a bookstore, with some English language books.